Uh Oh! What are you supposed to do if you just spilled that glass of wine? You look down at your carpet in a daze of panic. What to do? 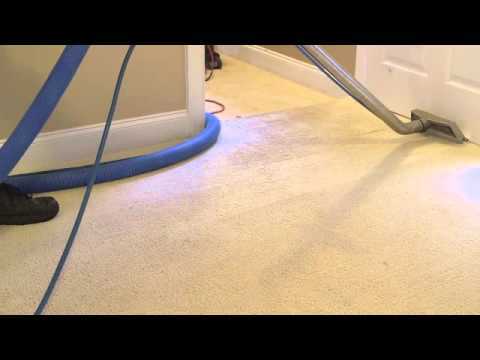 We, as a carpet cleaning company in Newnan are familiar with stains such as these. Though we are able to completely get these stains clean with our professional services, we can offer some DIY tips for you to do if you have spilled wine on your carpet. Wine is one of the most common carpet stains. The first step you need to take is to blot up the wine. This will get all the excess liquid out of the carpet or fabric. If you have any, use a carpet or clothes stain remover and wipe up as much of the stain as you can. This will help remove much of the wine before it has time to really soak into the carpet. From here, there are a few different approaches you can take. You can spray hydrogen peroxide on the stain, then sprinkle a hefty amount of baking soda on it. This reaction needs to fully cover the stain. Let this sit for 2-3 minutes. Rinse with water. This is likely to completely remove the stain and leave your carpet looking like new. If you have spilled red wine, you can neutralize the color from staining your carpet by pouring white wine over the stained area and gently blotting the liquid up with a cloth. Do not rub because that will spread the stain. White wine will not completely get rid of the stain, but it will help make it not as dramatic. You can also use salt to lift the color out of the carpet or fabric. If you pour salt on the stain, it will soak up the color from the carpet fibers. Once it is done soaking up the color, you can vacuum up the entire area. Club Soda is another DIY way to remove wine stains from your carpet. The carbonation in the soda reacts with the wine to lift the stain out of the carpet.